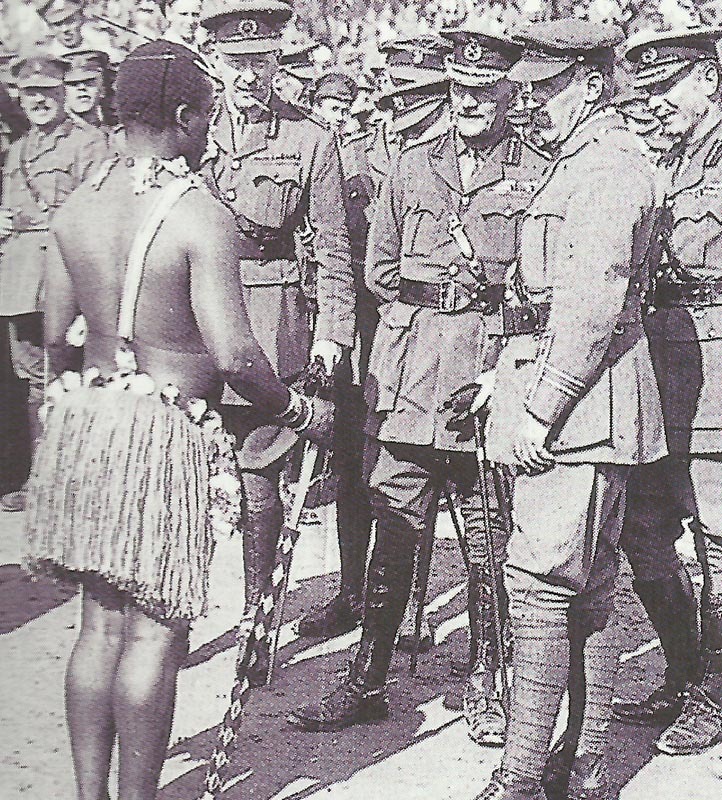 South African officers and soldiers at a folkloric presentation in German South West Africa. Southwest Africa: Botha’s final advance to the north begins, occupies Omaruru on June 20 and detaches 2 mounted brigades to cut off the Germans by June 27. Artois: French novelist Jules Leroux disappears in action, aged 34, at Neuville St Vaast. Galicia: English novelist Hugh Walpole helps tend 800 wounded soldiers in 12 hours, develops dysentery by June 30.